KXIP Punjab win by 9 wickets as Chris Gayle finishes off the things in style. Tom Curran comes on to bowl his first ball and Gayle goes big, was premeditatted, as the ball goes high and straight up in the air as it falls right on the boundary cushions. Long on fielder was interested for a bit, he even did put the dive but couldn't hold on to the catch. Dominant display of cricket from Punjab to collect their fourth win to go on the top of the table. FIFTY! Rahul gets to his fifty and he too celebrates it with a maximum. Short delivery from Narine and it has been smacked away. There it is then. 125 for KXIP to win. Match reduced to 13 overs. That is 29 runs needed off 28 balls. Chris Gayle will have a chance to come out and complete his half-century. Play to get underway at 201:15 that is 5 minutes from now. Play interuppted due to rain. The umpires have called the covers on as the rain gets heavier, hopefully it is just a passing shower and nothing else. Gayle is batting on 49 and he will be eager to slam his third consecutive 50+ score, while KKR will get time to regroup and time to think how they can break this partnership. OUT! As a result of some smart bowling from Sran, he has got the key wicket of Dinesh Karthik. Another slower ball and Kathik flicks it straight to backward square leg. End of a fantastic innings. OUT! Russell is send back on his way. He will be disappointed to not get under the ball and didn't get the elevation that he would have liked that would help him tonk it over the boundary as he holes out to Nair at long off. Rarely does he not get power behind the ball. It was a full ball by Sran and Russell has slammed it straight to the fielder. Lucky break for Punjab. Good catch by Nair in the deep. OUT! Andrew Tye gets the important wicket just at the time Lynn was looking to unleash himself. Moved across and tried to clobber it to long on boundary. He attempted it from the wide tram line on the offside, got a bottom edge to the wicket-keeper. DROPPED! Another flat-batted hit by Lynn. Didn't get enough on it, the fielder at deep cover comes under the ball dives across but couldn't hold on it. FIFTY! That is half-century for Chris Lynn! His 4th fifty of the IPL and he has brought it up in good time, just 30 balls. OUT! Bizzare from Nitish Rana! He cut the ball back and sets off for a run, which was never on, perhaps he thought the ball would pass the short third man fielder, but Ankit Rajpoot did brilliantly in the field to run to his left, collect the ball and release a quick throw back to the keeper, who removed the bails with ease. Rana was stranded in the middle of the pitch. OUT! Gone! First ball after the time out break and Uthappa sees a delivery that is just a fraction shot and goes back to pull it over mid wicket boundary instead holes out in the deep. It was the offspiner by Ashwin that gives him the wicket and the bowler enjoyed it. OUT! Mujeeb has provided the first breakthrough with his second ball of his first over. Narine charged down the target and went for the big hoick, the bat turns slightly in his hands and the ball goes towards the fielder positioned for the catch at deep mid-wicket. Karun Nair takes a brilliant catch. Ashwin wins the toss and Kings XI Punjab are bowling first. Dinesh Karthik says he will go in with the same team, while KXIP have one change from the previous game Ankit Rajpoot comes in for Mohit Sharma. Another emphatic win for Kings XI Punjab. What a run Chris Gayle has had this IPL, lining up one performance after the other. KL Rahul too extending his purple patch, the teams will be wary of these two as they are fast becoming the opening duo of the IPL. R Ashwin at the presentations said it was important that as bowling unit they kept them under 200 and psychologically helping the visitors. That phase in the last overs of the first innings swayed the momentum back in their favour as well. This is all we have for you from this match, there is more action happening in Bangalore. Follow our live blog here. Untill we meet next, goodbye from us. KL Rahul: I don't want to stop whatever I am doing. I am in good space want to go out and win matches for my team. The simpler you keep it, the better it is for the batsman. I don't want to complicate my batting. I back a lot on cricketing shots. I want to get into good positions and hold my shape. I want to make sure to make it big after getting starts. Me and Chris have spoken. If Chris is going it doesn't mean I slow down. If he feels he can target a bowler, then I let him strike. If he fancies a bowler, I take a single and he can hit five sixes. We are not thinking too much. Ravichandran Ashwin, Kings XI Punjab captain: Lot more happier than win before. We were little under the pump when we were bowling. KL played like million dollars. Chris, you never ask for it. Very important to have a perspective when we were bowling. I think one side of the ground was a bit shorter so AJ had a lot of experience so we gave him the 20th over. You don't really plan anything for Chris (Gayle). 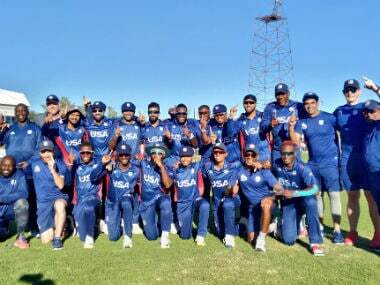 We are a team who are winning the powerplay with the bat. In IPL, you have to be realistic. Traveling is hard. "I am accustomed to it," says Chris Gayle after been awarded the orange cap. Always an entertainer. Huge victory for Punjab. Both Rahul and Gayle have thrashed the KKR bowling to all corners of Eden Gardens and the fielding captain had absolutely no clue of how to stop them. Feel, Karthik missed a trick by not bowling spinners against Gayle early. However, Mavi's bowling is the only positive for the home side in the second half of the match. Following this game, there is a six-day break for the Knights. Their next match is an away fixture against Delhi on 27th. That's it... another Gayle six helps Punjab soar further... Gill tried to catch that but slipper because of wet outfield and it sailed away over the boundary... sums up the evening for Kolkata... rain didn't help but it never also seemed that 190 was going to be enough. Third successive win for Punjab and they are climbing up the table... this seems to be a refreshing season for Kings XI Punjab. I think they took us in powerplay. We did not bowl as per the plan. We are putting pressure on the opposition bowling. We planned a certain amount of things on their batting but we did not execute the plans. We did not handle pressure well. Crowds have always been great. Proud to be playing in front of a crowd like this. Gayle almost chopping back on his stumps, Mavi knows KXIP are looking to finish it with a flourish and he is trying his best to delay the inevitable. Lot of slower balls to not give Gayle the advantage of the pace. Fires it wide on the offside for the fifth ball and Gayle who was backing away on the leg side went to tonk it over covers. Tries the yorker off the last ball that has been tapped to long on for a single. Three runs off the over. 5 needed off 12 balls. Shivam Mavi to bowl the 11 over. KXIP need 8 off 18 balls. Will it be the last one of the match? Rahul won't be there to celebrate the win as he walks back to the pavilion after an amazing batting effort. Mayank Agarwal comes in at number 3. OUT! Rahul was in a hurry, wasn't he? Mistimes a pull and is caught by Curran at deep mid wicket. Gayle blasts to his fifty with a six as Kings XI go past 100. KXIP are moving quickly towards the target. Chawla finishes with 3 dots. The match officials are having a close look at the playing conditions. More updates to follow soon. Just a reminder to how things were when the game was halted due to rain Kings XI Punjab 96/0 after 8.2 overs, need more 96 runs with 70 balls left to bowl, not sure if we will get the remaining deliveries, but will have to wait for the official word on the revised target. KXIP are 31 runs ahead of the par score according to DLS method and they will be handed a win if the match is called off. The covers are coming off at the Eden Gardens. The square is also getting cleared up, we might have some action soon. Stay tuned for more updates. The rain has stopped and groundsmen are currently doing their best to get the ground ready before the cut-off time. If we are lucky then we might see a few more overs of play tonight. Meanwhile reports coming in that the rain has stopped and we might have some cricket at Eden Gardens. In case you are wondering what is the situation with the game in Bangalore it is absolutely fine there as Royal Challengers Bangalore gears up to host Delhi Dardevils for the night game. We are less than 5 minutes away from the toss and You can follow it here. Less than an hour left before we run out of extended time. Possibility that we might not have any further play, but we are certain to lose overs and a there will be a revised target. If you are KKR fan keep your fingers cross and hope for the rain to stop and ground to dry up. If we have no further play then KXIP will win by 31 runs by DLS method. From my knowledge about the local weather, I expect no further play in this match. The rain is getting heavier and don't think it will stop soon. The entire ground has been covered right now. SIX! Higggghhhh into the night sky and the ball just sails over the long fielder. 81 meters is certainly not Gayle's standard. He moves to 49. Didn't get it from the center of the bat with long on fielder interested for a long while. Finally a subdued over for KKR. First over without the ball going/ flying past fence. There seems to be a drizzle around the ground nothing too threatening to stop the play as of now. Ok, it has started to drizzle The groundsmen are getting ready with the covers. Expect a break soon. KXIP are well ahead in the D/L equation. There seems to be a race to 50 between the Punjab openers. Both the players like to attack and now they are well set to launch a brutal assualt. The fielding restrictions don't matter a lot to these two. Kuldeep's first over is taken for 13 runs. SIX! Gayle swings across the line and the ball sails over long on fielder. Easy as you like. He is also the leading run-scorer in this IPL. FOUR! Though the powerplay is over and the boundary riders present but Kuldeep bowls short he will be hammered and no fielders in the deep will be able to stop that. Rahul rocks back and pumps the pull to deep mid wicket boundary. Punjab flying through the power play overs. There is an assuredness about Rahul when he is in such form... Early time out for KKR. They look in panic mofe every time Gayle marks his guard. They need to regroup. If Russell cannot bowl any further in this game then KKR's death bowling plans will take a huge blow. However, the way both Rahul and Gayle are batting right now, this match can be done and dusted within the 17th or 18th over. Feel, it is time for Kuldeep to roll his arm over. As KXIP openers have batted in the last few games, KL Rahul and Gayle have slammed 73 runs off the powerplay. 23 more than KKR did, that too without losing a wicket. Punjab are cruising at this stage. DK has some thinking to do. FOUR! This time Rahul paddles it fine for a boundary. Rahul had the time to change his grip and just lap it fine to beat the fielder at short fine. FOUR! Rahul swats the ball bowled in the middle of the pitch to long leg boundary. No chance for the fielder in the deep. A boundary off the last ball might have spoiled the over, where Narine only gave away a single off the first five balls. FOUR! Boundary off the last ball can be frustrating. On the pads by Narine and Gayle bends down and his knee to strike it to long leg fence. Sunil Narine is introduced into the attack. KXIP openers gallop past 50 in the fourth over. Expensive five balls by Russell with Rana finishing the over, bowling the last ball, that swings late into the left hander, who brings the bat down just in time. We will surely see the part-timer bowl more today. 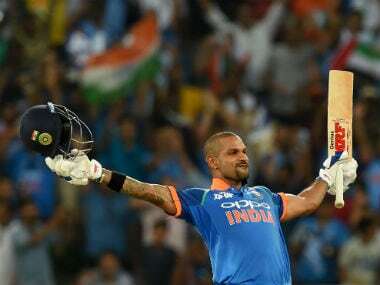 IPL 2018, Kolkata Knight Riders vs Kings XI Punjab at Kolkata, latest update and cricket score: Tom Curran comes on to bowl his first ball and Gayle goes big, was premeditatted, as the ball goes high and straight up in the air as it falls right on the boundary cushions. Long on fielder was interested for a bit, he even did put the dive but couldn't hold on to the catch. Dominant display of cricket from Punjab to collect their fourth win to go on the top of the table. Preview: Table-toppers Kolkata Knight Riders and a transformed Kings XI Punjab cross swords in an Indian Premier League contest in which two big-hitting Jamaicans — Andre Russell and Chris Gayle — will be up against each other. Gayle was at his best last night when he smashed this season's first century — a 63-ball 104 not out — at the expense of one of the best bowling outfits, Sunrisers Hyderabad. Gayle smashed 11 sixes, seven of them coming against the world's top ranked T20 international bowler Rashid Khan, and gave a fitting response to his critics after the humiliation he had faced at the last IPL auctions where he went unsold. 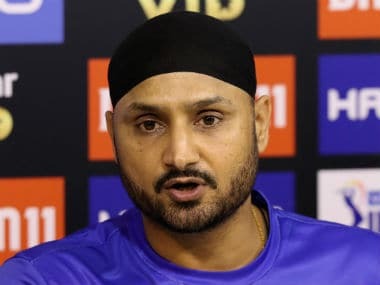 The 38-year-old enforcer, who represented Royal Challengers Bangalore and KKR, twice went unsold after 10 glorious years before the Virender Sehwag-mentored side gave him a lifeline. Gayle still had to sit out the first two matches, but when his moment came he played two match-winning knocks, including a 63 against Chennai Super Kings. "A lot of people said 'Chris has a point to prove'. Time waits for no one but I'm not here to prove anything to anyone. I just want to move on, enjoy my cricket," Gayle said. The battle at the Eden Gardens will see Gayle facing the spin challenge of KKR with West Indies teammate Sunil Narine and India sensation Kuldeep Yadav leading the attack that also has Piyush Chawla and part-timer Nitish Rana. 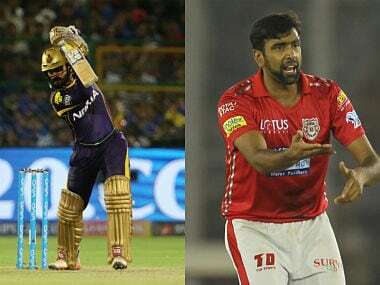 Kings XI Punjab look a transformed unit under India discard Ravichandran Ashwin. They now seem to be on a mission with a top-heavy batting comprising KL Rahul and Gayle followed by the flair of Mayank Agarwal and Karun Nair. In Australian Aaron Finch and Yuvraj Singh, they have two destructive finishers who are due for big knocks, and KKR would look for early breakthroughs to mount pressure on the duo. Russell, another explosive Jamaican, singled-handedly decimated Delhi Daredevils in his 12-ball 41 in their last match at the Eden. The biggest gain for the home side has been that of Mumbai Indians recruit Rana who got back-to-back Man of the Match awards in their wins over Delhi Daredevils and Rajasthan Royals. The left-hander has showed fine temperament, forming the backbone of their batting, which wore an unsettled look at the start. Rana's part time off-spin has also given the team some crucial breakthroughs — his wickets of Virat Kohli (Royal Challengers Bangalore) and Ajinkya Rahane (Rajasthan Royals) bear testimony to that. Their spinners bowlers 14 overs in Jaipur, accounting for five wickets to stall Rajasthan Royals to 160/8 en route to their five-wicket win. Afghan's latest spin sensation Mujeeb ur Rahman will also be the one to watch out for. 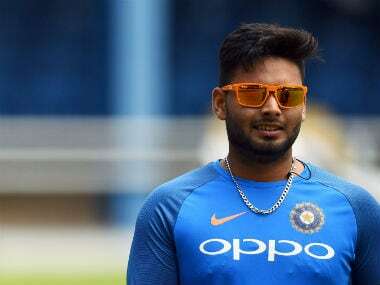 The 17-year-old off-spinner has been able to fox batsmen, including Kohli, with his guile and has a tidy economy rate of 6.80 from four matches. 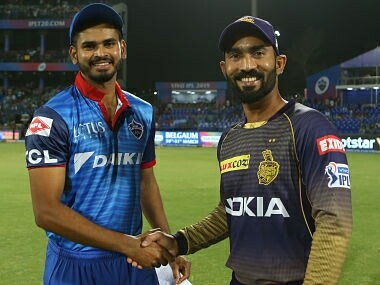 Kolkata Knight Riders: Dinesh Karthik (c and WK), Sunil Narine, Andre Russell, Chris Lynn, Robin Uthappa, Kuldeep Yadav, Piyush Chawla, Nitish Rana, Prasidh Krishna, Shivam Mavi, Mitchell Johnson, Shubman Gill, R Vinay Kumar, Rinku Singh, Cameron Delport, Javon Searless, Apoorv Wankhade, Ishank Jaggi and Tom Curran. 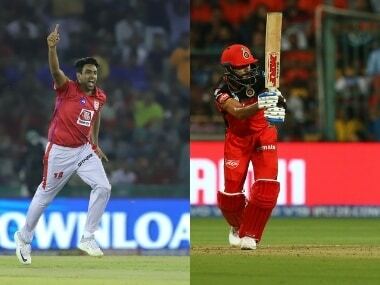 Kings XI Punjab: Ravichandran Ashwin (captain), KL Rahul, Chris Gayle, Mayank Agarwal, Aaron Finch, Yuvraj Singh, Karun Nair, David Miller, Marcus Stoinis, Axar Patel, AJ Tye, Mohit Sharma and Mujeeb ur Rahman.